Home › CARLU de Monaco Knitted cashmere scarf "Fiona"
Made from our fabulous pure cashmere, this luxurious scarf is light yet strong and endlessly chic. Cashmere is ideal for regulating your temperature, making it a great investment at the turn of a new season. 1.) Hand washing will always produce the best results for washing your cashmere garments. 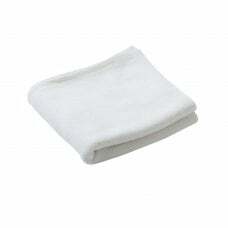 If you are using a washing machine then use the handwash cycle, then lay it out to dry flat on a towel. This means it won't lose its shape. Never let the garment hang dry. Wash with specialist cashmere wash, baby shampoo, or a gentle, low-alkaline detergent. The more alkaline a detergent is, the harsher it will be on your cashmere. 2.) If your machine doesn't have a handwash/gentle cycle, button up your cashmere inside a pillow case and put it on a cold wash. 3.) Moths love cashmere, particularly any with moisture in the fibres, so to store it safely, make sure it is totally dry. Then fold up and store in the zip-lock bags that comes with the garment - hangers will stretch the wool. 4.) For extra security, line the bags with anti-moth paper strips or anti-moth drawer liners. 5.) All cashmere, no matter how good the quality, is prone to pilling. Most will disappear after washing but it's good to keep a comb on hand to deal with bobbles: lay your cashmere flat, gently pass the knitwear comb over the fibres, and the pills will be picked up. 6.) Found a hole in your cashmere? You can use the provided extra yarn inside the hangtag to mend. If it is a zip-pullover you have ordered, then you should also have received an extra leather puller. Ask a Question CARLU de Monaco Knitted cashmere scarf "Fiona"
Email a Friend CARLU de Monaco Knitted cashmere scarf "Fiona"
CARLU de Monaco Casual cashmere jacket with hoodie "Sabrina"
CARLU de Monaco 3-button cashmere jacket "Stephanie"